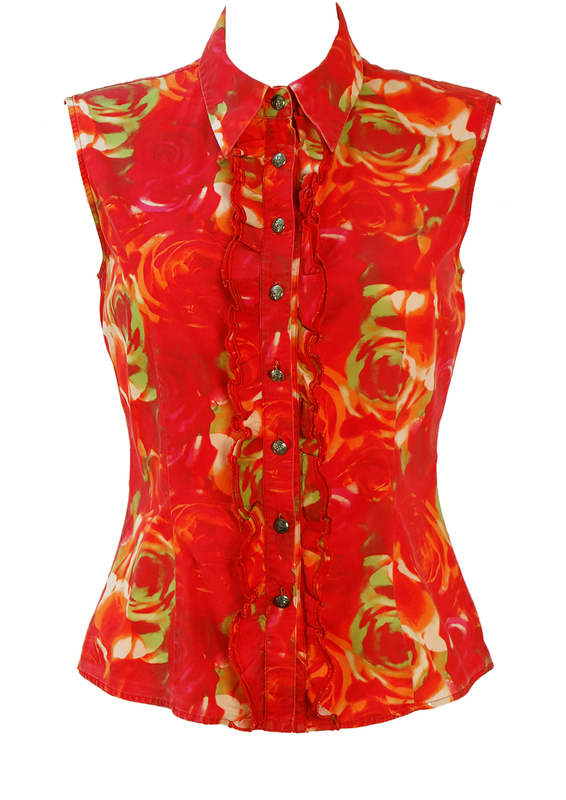 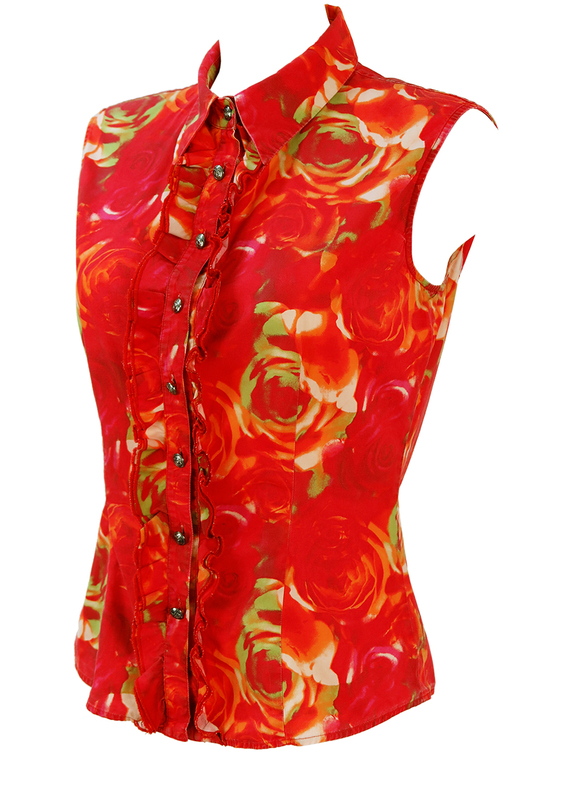 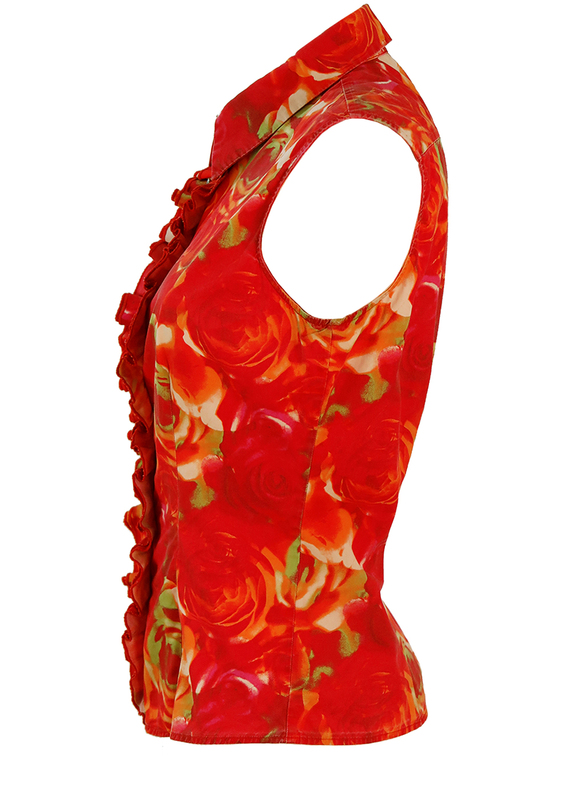 Versace Jeans Couture sleeveless blouse with an abstract rose print pattern in a fusion of mesmerising colourways of red, green, orange and deep pink interspersed with white highlights. 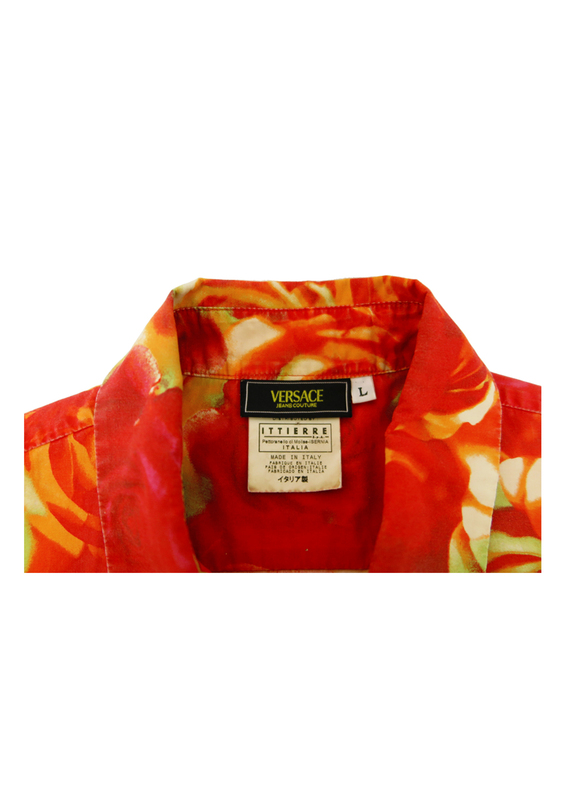 The pattern has an almost photographic style to it in parts and additional features include a double layer ruffle front with classic Versace medusa head buttons. 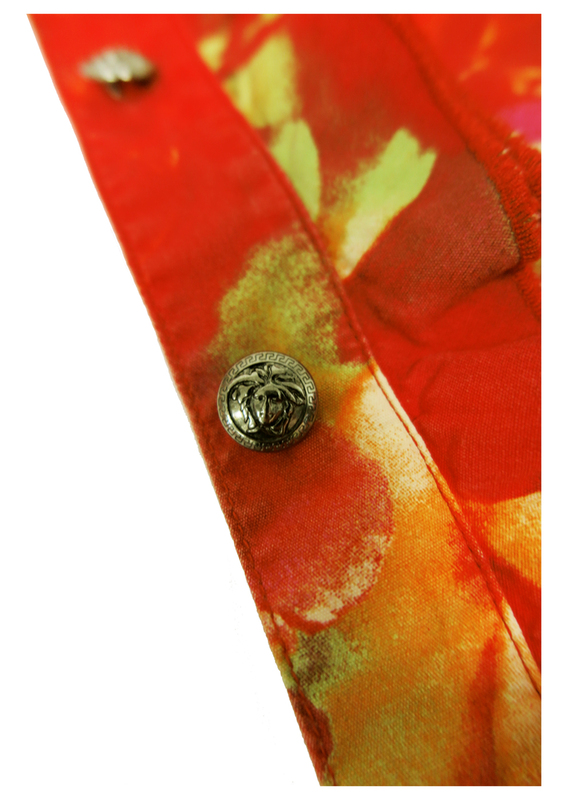 There is very slight fading at the edges of the garment at the collar, armholes and hem although it’s not very noticeable and the blouse in general is in excellent condition. 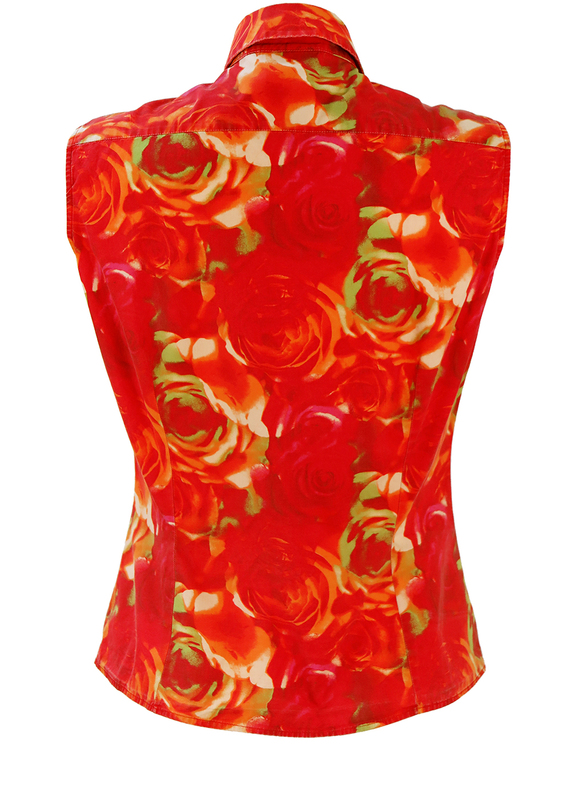 We have however reduced the price from £55 – £45 to allow for this. 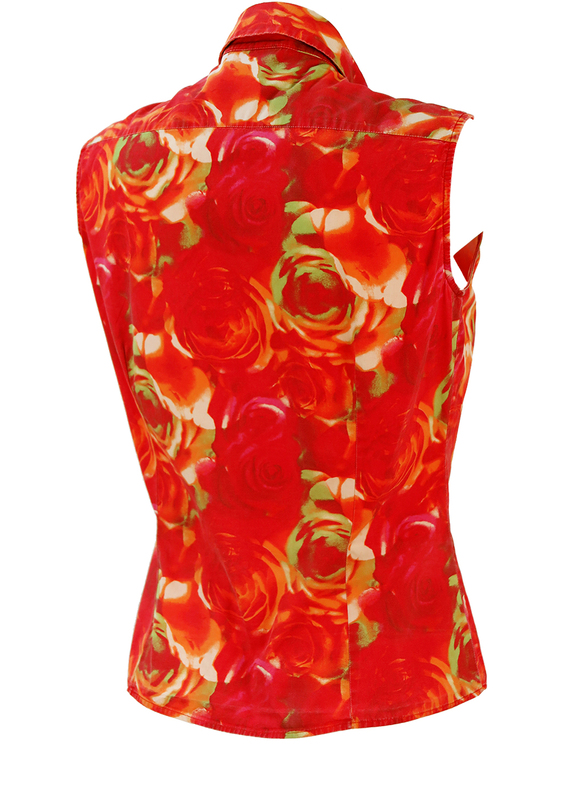 The sizing label is a size L, although we have sized it as between a size M or L based on your chest measurement and also because the blouse tapers in slightly at the waist and we have provided a measurement for guidance.